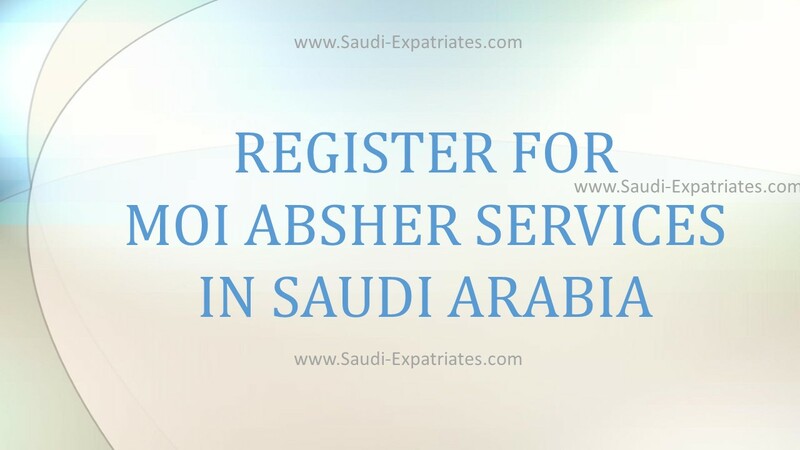 For accessing the various benefits from Ministry of Interior, Every individual should register for MOI services account which is also called Abshir Service from MOI, Saudi Arabia. By registering this service, you may aware of few things which is happening with your iqama. These few things are numbered as follows. 1. Check your Iqama Expiry Date by accessing your MOI Abshir account "Muqeem expiry date Iqama". 2. Check your eligibility for Hajj "Status of Hajj eligibility". 3. You can check your Medical Insurance details and expiry date of your medical insurance "Health Insurance expiry date". 4. Inquire of traffic violation on your iqama "Traffic violations on Muqeem Card". 5. Check your Vehicle insurance expiry date. 6. Check and Issue Exit and re-entry visa for your dependents "Exit Re entry for family". 7. You can renew istamara of your vehicle by accessing this account. 8. Your traffic violation fine and violation number. 9. You can also check the Status of your sponsorship change "Sponsorship Transfer Status". 10. You can also check the funds available on your iqama "MOI Funds on Muqeem Card". 1. Go to Ministry of Interior website by following this link http://www.moi.gov.sa and select language as ENGLISH. 2. To register new account with MOI, Click on NEW USER which is top of your right side. 3. Fill your personal details like, IQAMA NUMBER, EMAIL, PREFERED LANGUAGE, MOBILE NUMBER. 4. Agree with the terms by clicking on check box, and click on OK to proceed with it. 5. You will get a SMS message on the number you entered from MOI having verification code. Enter iqama number and received code and click on OK.
6. Choose your Username and password and click on OK.
7. Your account created, Now print the form to activate your account.